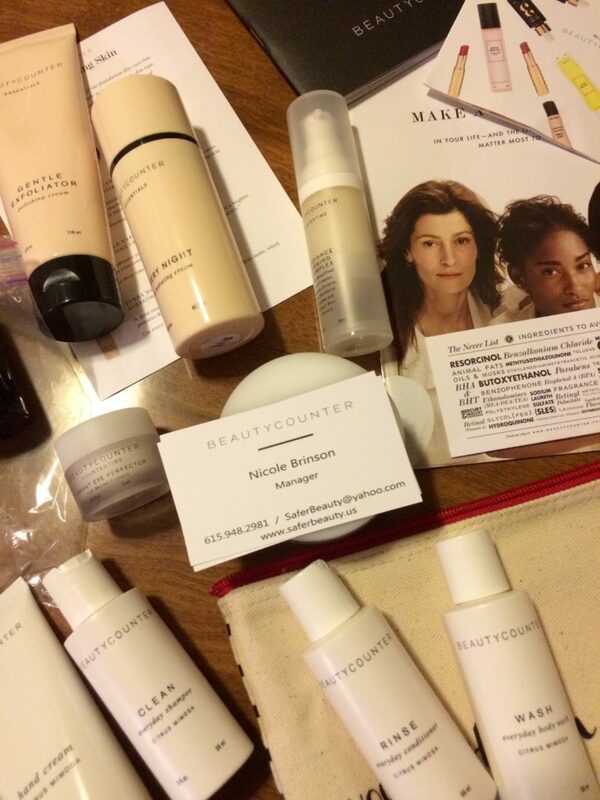 I had the awesome privilege of testing out Beauty Counter products a couple weeks ago! I am sure you have heard about Beauty Counter – the new beauty company that offers safe beauty products in gorgeous packaging. Well, maybe thats just how I used to see Beauty Counter. They are making waves for their ban of more than 1,500 ingredients toxic ingredients – and their personalized experience matching the right beauty products for each customer. I really loved testing out their products, because I have been so intrigued by this company. Beauty manager Nicole Brinson sent me an awesome selection. And let’s be honest, they have gorgeous packaging! Charcoal soap: a wonderful cleansing bar that naturally removed impurities without drying. Perfect for acne-prone skin. Enlightening treatment pads: awesome little power packed pads that brighten skin, even complexion, reduce fine lines and wrinkles. Radiance firming complex: an awesome moisturizer that brightens skin and firms at the same time. Lustro face oil #3: an awesome plant-based oil that naturally detoxifies skins and adds hydration. Essentials PM moisturizer: a very hydrating moisturizer that hydrates without being oily. Coconut oil based and fantastic for oily skin. Body collection shampoo and conditioner: No SLS or added fragrance. Body wash, Lotion and Handcream: body products in their signature “Citrus mimosa” scent, a natural scent from essential oils. All hydrating and healthy for skin without any harsh solvents or ingredients. They are silky smooth, fresh, light and felt so refreshing on my skin. Remember old drug store products that leave your face tight and dry? These are so the opposite! I loved the refreshing feeling – knowing that I was treating my skin right. Their scents (especially everything citrus) are divine! They are so light and fresh – but so tropical and sunny. Seriously, some of the best scents I have ever smelled in skin products! The Charcoal Soap was by far my favorite product – and one that I will be buying! My face cleared up, dried out, and I saw results in a week! Honestly, I didn’t see any results with the other products in just a week. That doesn’t mean they didn’t “work”. It just means a week is a super short period of time to see results. Some might say that feeding your skin with super clean and healthy products are the results themselves. I honestly need to see actual results on my skin to say a product works. But, Beauty Counter has awesome reviews on their website – so there is a long line of women seeing results! I love these products! They seem rather pricey for me, but they last a LONG time. Also, if you are interested in becoming a salesperson, you get discounts! Make sure to contact Nicole here if you are interested. 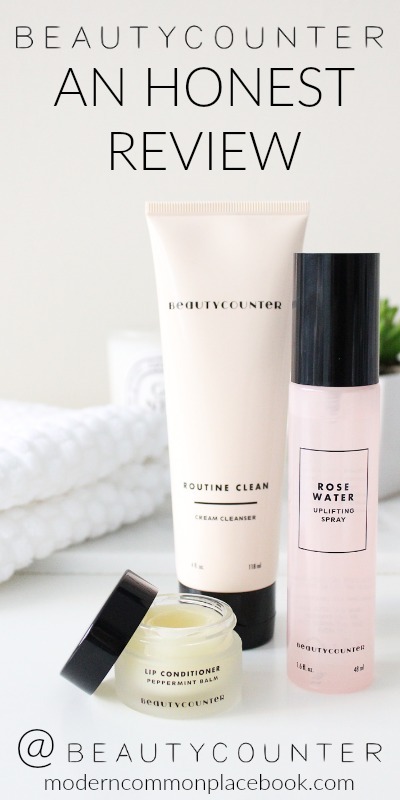 Do you use Beauty Counter? Make sure to leave a comment and let me know your favorite product! And…We aren’t done! Make sure you enter for a free Rose Neroli Body Oil! This is no longer available for purchase, but is available to you! Nicole is super sweet to offer this to one of A Modern Commonplace Book’s readers – ENJOY! Please note! This giveaway is only for the US.